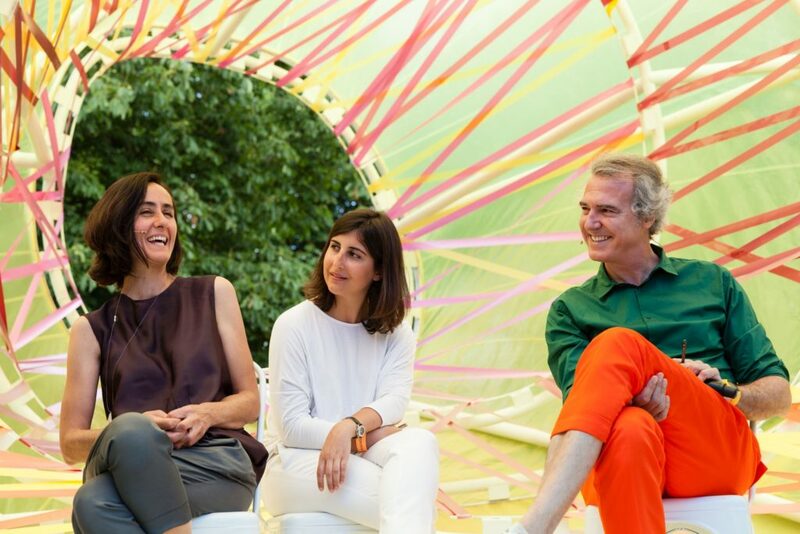 The architects of this year’s multi-coloured playground Pavilion are selgascano. José Selgas and Lucía Cano are a Spanish husband and wife team known for their bold and playful designs. 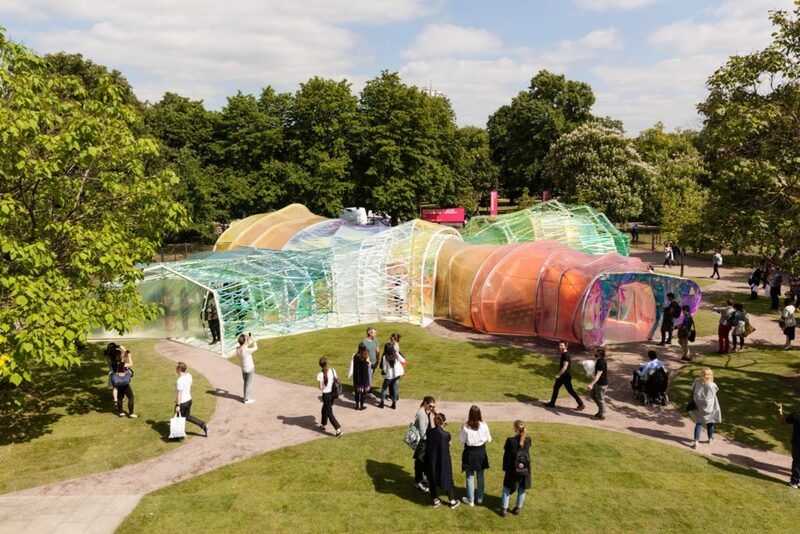 Their 2015 Pavilion is a chrysalis-like structure wrapped in coloured plastic called ETFE, the same material used on the bulbous Eden Project domes. When the sunshine streams in it filters the daylight like stained glass. selgascano want to encourage an adventurous relationship to their building and have included tunnels and partially concealed passageways to invite visitors to explore. They have nicknamed it ‘The Hungry Pavilion’ after Eric Carle’s much loved book The Very Hungry Caterpillar. On 23 June they talked with past architects Sou Fujimoto and Smiljan Radic in front of a packed audience about the ideas behind ‘The Hungry Pavilion’ and the history of the Pavilion commission so far. Moderator Sarah Ichioka asked Jose and Lucia what their inspiration was for the Pavilion. Jose confirmed dance was a big influence and also the London tube. “The movement of London was important for us,” he said, “how Londoners move around the Underground, by the way they walk at top speed, how they wander around and how democratic that space is. The Pavilion is a public space too and it’s free, which for us is amazing!”.